Which of Mines’ 29 campus departments or programs will get the biggest share of the #idigmines Giving Day bonus funding and other matching incentives, all totaling more than $100,000? 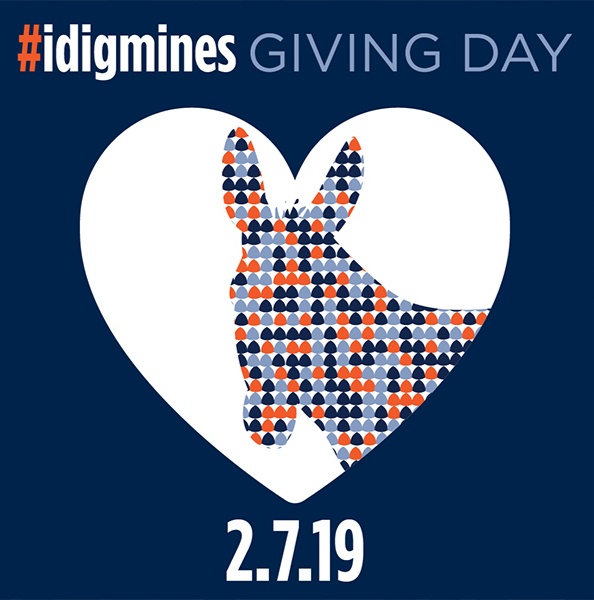 Mark your calendar: #idigmines Giving Day is back on Feb. 7. This year marks the third 24-hour giving day when the Mines community comes together to show their Mines love by supporting the campus causes they dig the most. Blaster Cards get students, faculty and staff free entry to the campus carnival for food and games from 11 a.m. – 1 p.m. in the Student Center. Spin the wheel at 11:30 a.m. and 12:30 p.m. for a chance at some great prizes. This year, our Corporate Champion, Credit Union of Colorado, is partnering with Mines Family Chairs James Kastenholz and Jennifer Steans to provide bonus funding to the tune of $35,000. When 2,500 donors make a gift on #idigmines Giving Day, the funds will be unlocked and distributed proportionately among the 29 participating causes. Student Donor Challenge : The cause with the most student donors at the end of the day will receive an additional $1,500 bonus gift. Alumni Power Hour: 12 – 1 p.m. MT. The cause with the most alumni donors during this time will win a $2,500 bonus. More bonus opportunities and information on #idigmines Giving Day can be found at idig.mines.edu.